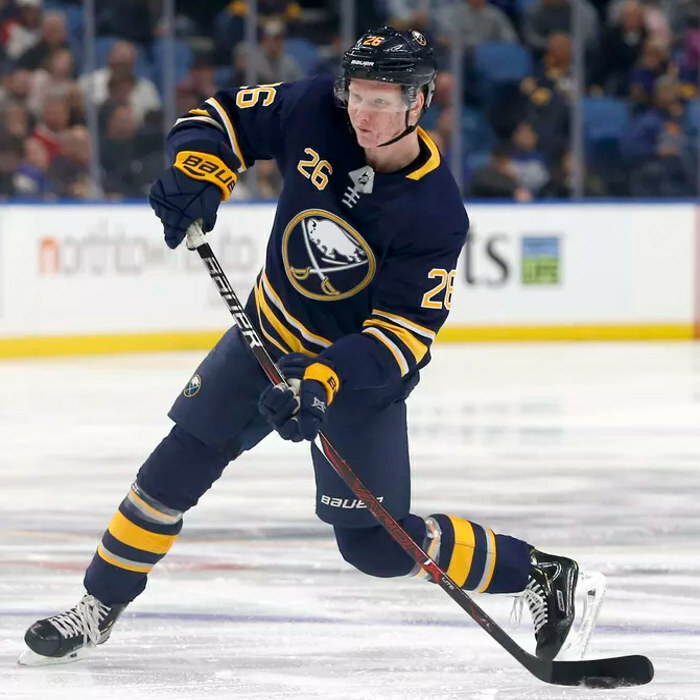 Rasmus Dahlin (born 13 April 2000) is a Swedish professional ice hockey defenceman currently under contract to the Buffalo Sabres of the National Hockey League (NHL). Having been referred to as the most talented player available in the 2018 NHL Entry Draft class, Dahlin was selected first overall in the draft by the Sabres. In the 2016–17 season, Dahlin scored his first Swedish Hockey League goal with Frölunda HC on 12 November 2016, in a game against Karlskrona HK. Prior to the 2018 NHL Draft, Dahlin was widely considered the top prospect. He was described as a smart two-way defenseman with a great set of tools, including skating, puck handling, vision, intelligence and shot. At age 16, Dahlin was the youngest player to ever dress for Sweden at the IIHF World U20 Championship and the youngest player overall in the 2017 World Junior Ice Hockey Championships. Dahlin competed in the 2018 World Junior Ice Hockey Championships for Team Sweden and helped them win silver by scoring 6 assists.